2nd March 2019 brings a fine addition to our parkrun family with the introduction of Park Walk. 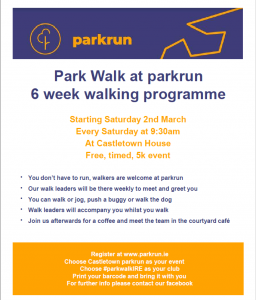 We have always welcomed walkers at parkrun and very especially at Castletown, but from this week, and for the next 6 weeks, walkers will get an extra special VIP introduction to the Castletown parkrun family. We have three Park Walk leaders ready to greet first-timers to parkrun and to keep everyone company on the 5k journey too. When walkers arrive at Castletown, all you have to do is keep an eye out for the Park Walk banner. You can be sure your leaders won't be far away. First up is Brigitte SPRINGFIELD-MITCHELL (pictured below with her usual friendly smile and sporting the Tail Walker Hi-Viz here). 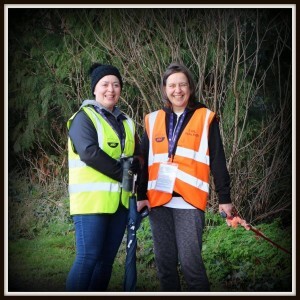 My parkrun experience started after a few drinks on New Years Eve 2017, when friends of mine (Mary and Tom Lawlor) suggested I join them on the weekly parkrun in Castletown. Having never ran in my life, I tried my best to run, but found that running was not my calling. 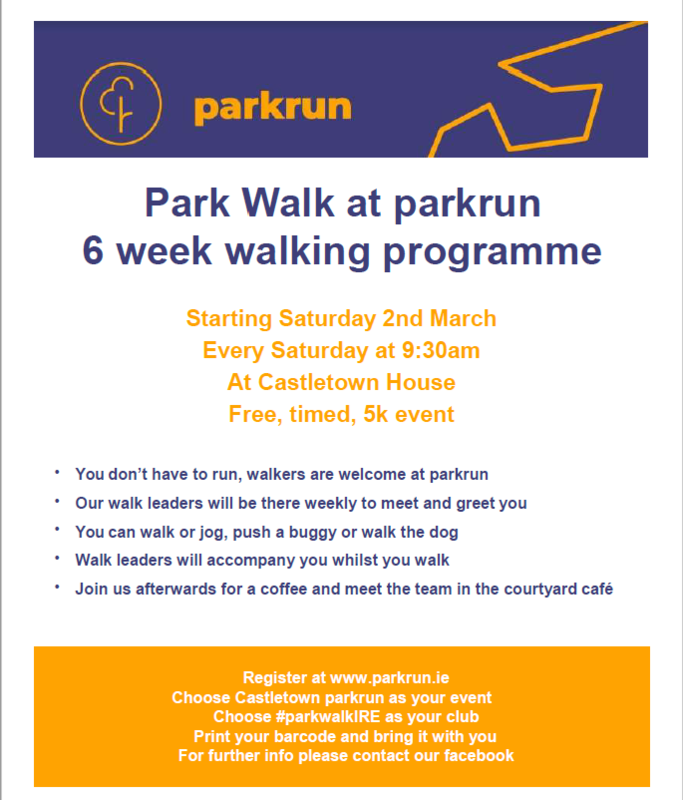 HOWEVER... as I moved from running to walking , I realised that parkrun is not about running, but about being active as part of a community where I get to have a laugh and a chat in the beautiful surroundings of Castletown. I now walk every week and have made many new friends. For me, achieving a good time is not important, but the achievement of walking 5k is. Next up, we have John and Kim O'LONE. John and Kim are devoted to their families. Kim often says she's got two families of which she's very protective. Her first is her biological family. Second is her parkrun family. Suffice to say that's enthusiastic enough to ensure anyone new to parkrun and Park Walk will be very well looked after. 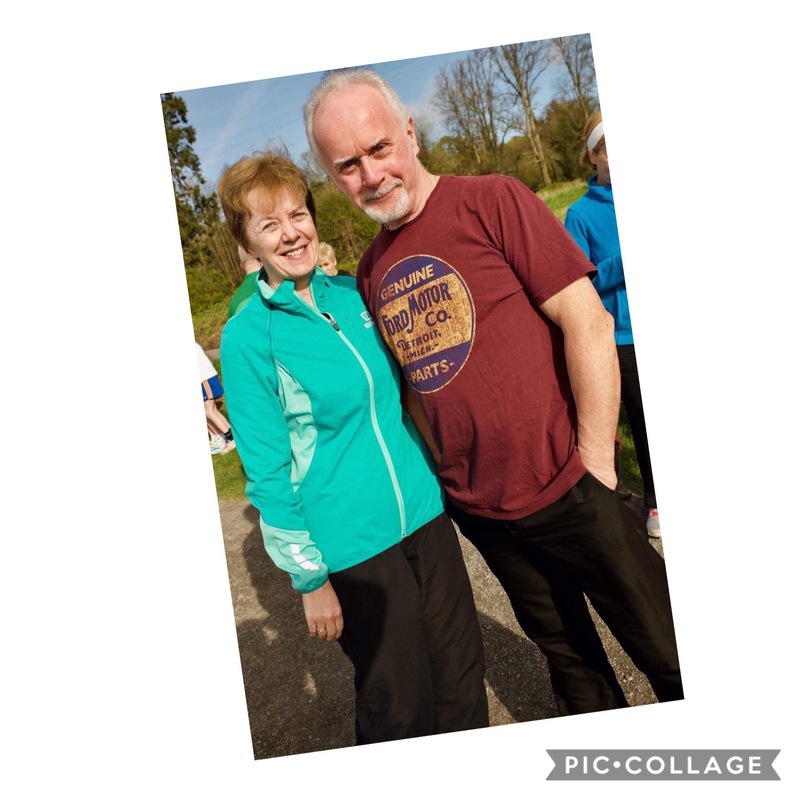 John says "Two and a half years, 134 runs and approximately 140 times volunteering between us both, we can honestly say we love parkrun and all it encompasses. We have met so many wonderful people and reconnected with old friends. It’s not always easy getting out of bed on Saturday morning but crossing that finishing line and heading off for a well earned coffee is a great feeling, the body has been exercised and the mind refreshed. As my (John) arthritis progresses I know I’ll never be a runner but each week I get out there and set my own pace and know I’ll never be last home there’s a ‘tail walker’ for that! 3 years ago I was overweight and wouldn’t walk 500 m to the local shop, now that’s all changed thanks to parkrun. Pop your printed barcode in a zip-lock bag to water proof it, or better still, laminate it. Soggy barcodes won't scan after parkrun and you'll need your barcode to get 10% off in the cafe afterwards.... yum!!! Follow the instructions above and you can't go wrong! But do give yourself plenty of travel time to arrive safely in time for the introduction and safety brief which takes place at 9.20am. We do expect higher no's this week, so car-pool if you can. It will be much appreciated. (Note - parking on grass is not permitted). Bring your best smile and you won't go wrong! We are really looking forward to meeting new faces on Saturday. See you all then. 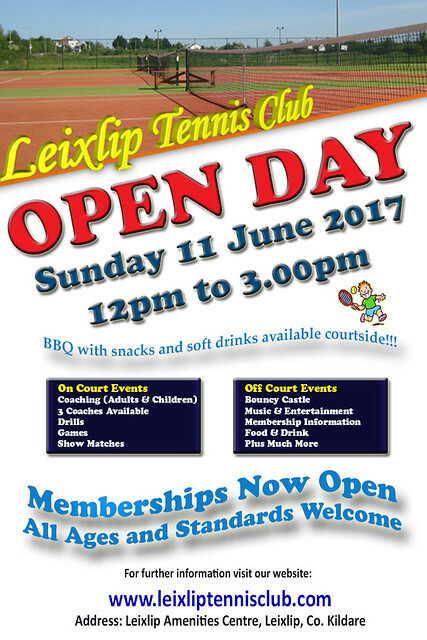 Lots of fun to be had at Leixlip Tennis Club open day on 11th June 2017. Bring the kids along, they'll love it. 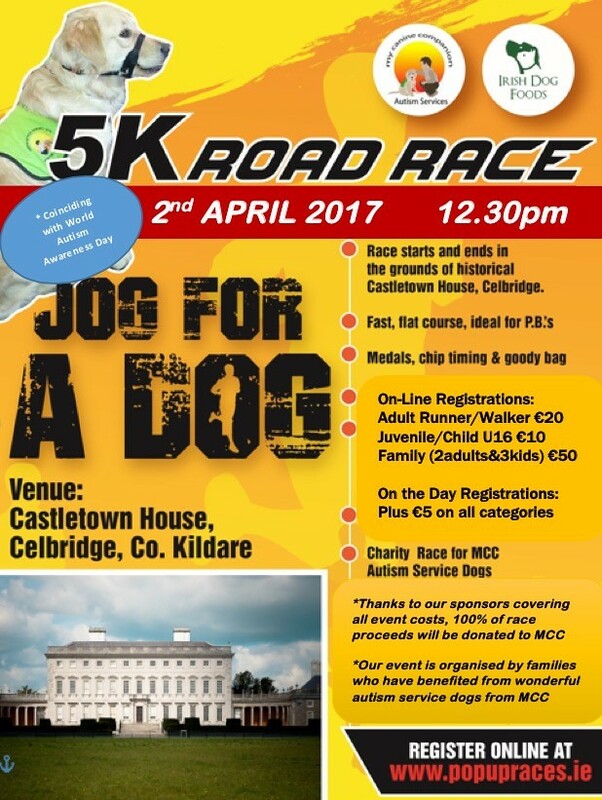 If you're looking for something different to challenge you, why not check out the Le Cheile AC 5k Road Race on 10th May 2017. 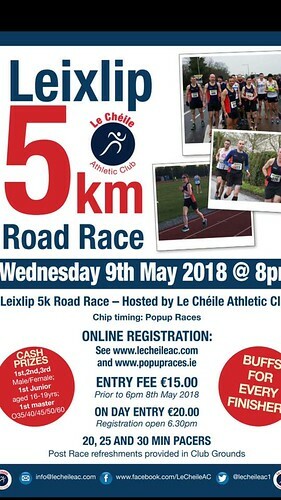 Castletown parkrun are very proud to promote Le Cheile AC as they launch their new event which will be held on Wednesday evening at 8pm, so you won't even have to miss a parkrun. Le Cheile AC have been fantastic support to Castletown parkrun from the very beginning and continue to give their support, so why not return the good deed and join lots of other parkrun regulars to make this event their biggest yet! 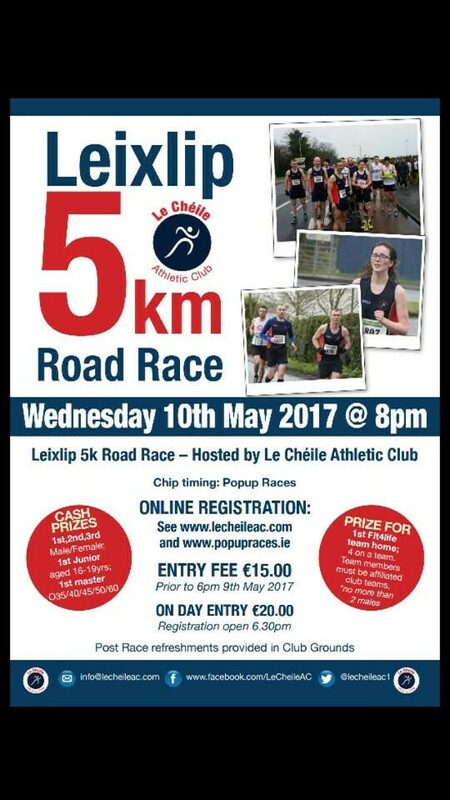 The route will follow their regular 5k route around Leixlip and finish back on the fantastic Le Cheile AC track. Get your entry in now to avoid disappointment. Check out full details on FB events. Are you looking for a fantastic 5k event with a nice pice of bling at the end? Even better, it's the day after parkrun, so you can either save your legs and volunteer at parkrun or get two 5k's in on the same weekend. Love it!!!! Find out all you need to know and how get your entries in at the jog for a dog page now. This event was sold out early last year. Are you loving getting your family involved with parkrun? 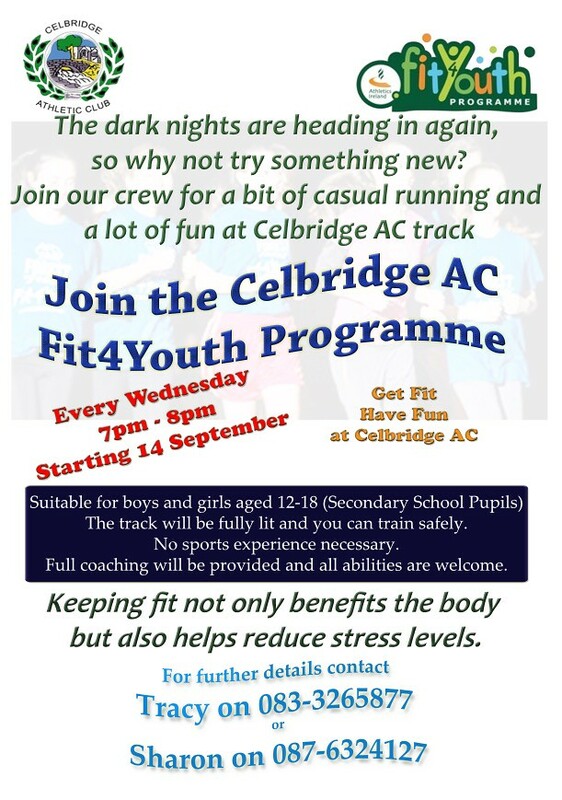 Well, get this... Celbridge AC are very proud to launch fit4youth. Here's a great way to ensure your teenagers are getting fit in a non-competitive, social environment that is very similar to the atmosphere of your favourite parkrun. Get them involved, set them up for life. 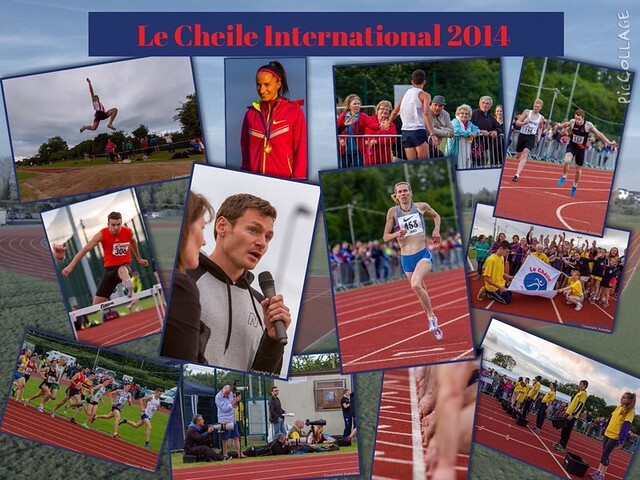 This Saturday (July 30th), our amazing supporters Le Cheile AC are hosting their annual International meeting starting at 1.30pm. There is no charge for spectators and it promises to be a great day for athletics fans. 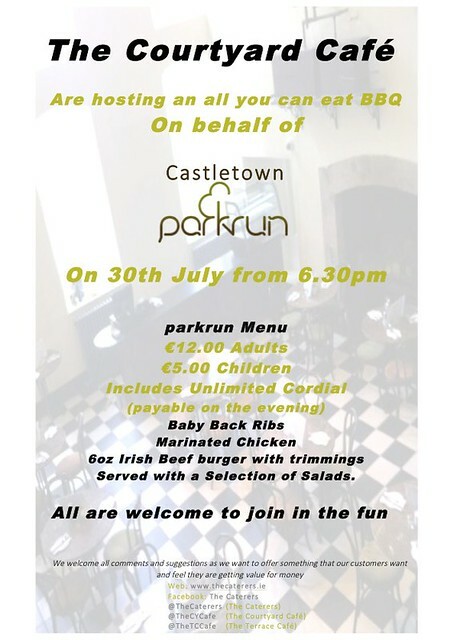 Why not refuel afterwards at the parkrun BBQ in the courtyard. All are welcome!!! 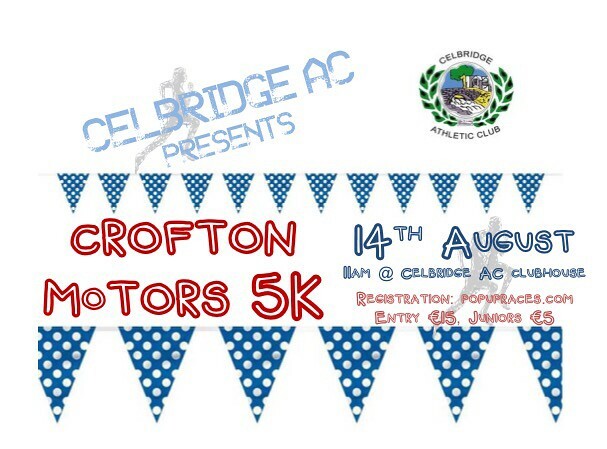 Celbridge AC to host their annual 5k Road Race on 14th August 2016. 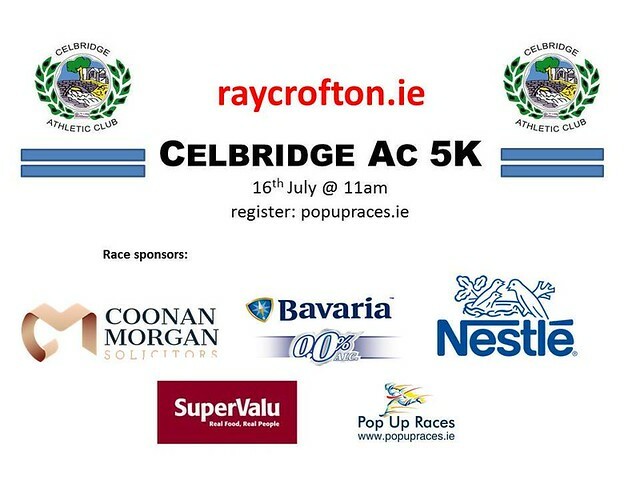 The following weekend - the day after parkrun - Celbridge AC are hosting their annual 5k Road Race from the club at 11am. 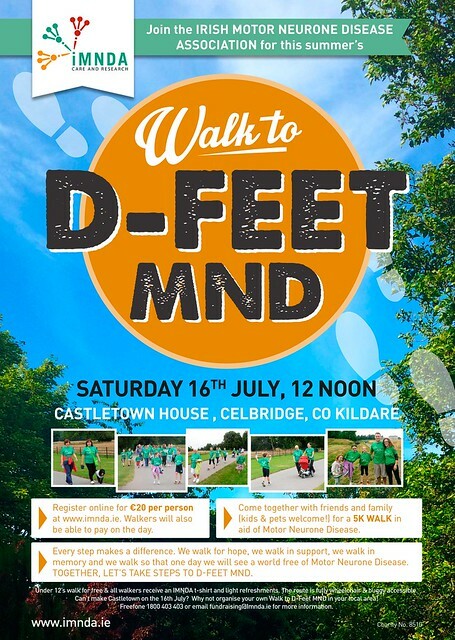 The Irish Motor Neurone Disease Association are hosting a charity walk on Saturday 16th July 2016 at 12 noon. If you'd like to join in the fun and help fundraise for a well deserving charity why not give this a go. Or even better, volunteer, run, walk or jog at your parkrun, enjoy a coffee and you'll still have time to be at the start line for this great event. Full details of how to enter, etc are outlined in the poster below. 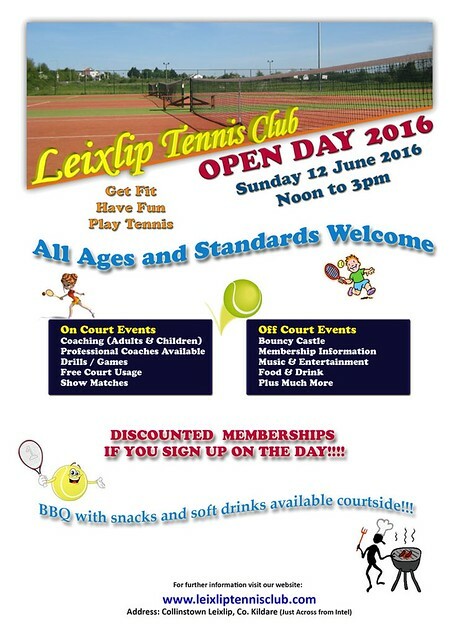 We are delighted to share the news that our supporters, Leixlip Tennis Club are hosting an open day on 12th June from noon till 3pm. If you've never tried tennis before and would like to give it a go, pop on over. There will be lots to do for all ages with coaches on court too. See the poster below for all the details.